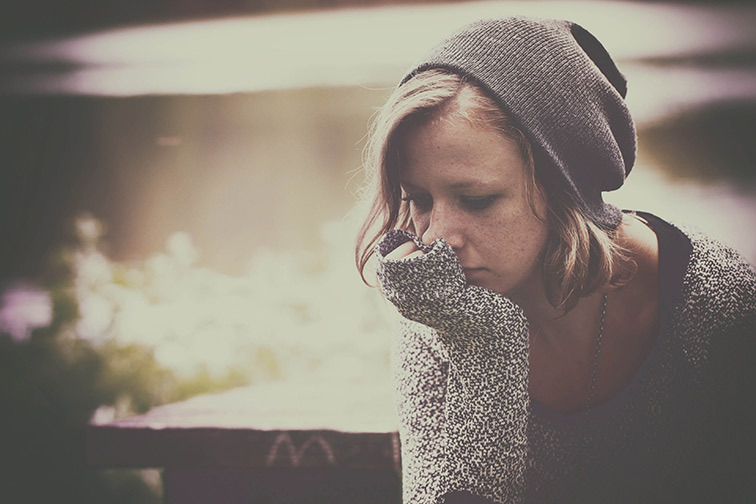 If your young adult child is suffering emotionally, they might find it tempting, or even necessary, to engage in non-suicidal self-injury (NSSI). This means that when they self-harm, they’re doing so to alleviate emotional pain and not with the intention to complete suicide. This is especially common for young adults with borderline personality disorder (BPD). Cutting and other forms of self-harm are uncomfortable to talk about, both for you and the sufferer. But self-harm is highly treatable. So let’s talk about what self-harm is, how to know if your child is self-harming, and what you can do to help them recover and live a healthy life. Cutting is the most common form of self-harm, but it can also include scratching, burning, hair pulling, picking at skin, and hitting themselves. They might use sharp objects, chemicals, or simply their own nails and fists. People who self-harm might also intentionally prevent their wounds from healing in order to relive the experience again and again. Young adults who self-harm are crafty and creative in methods they use to hurt themselves, so it can be very difficult to prevent this behavior from occurring. Self-injurious behavior most commonly emerges during adolescence, around age 15. It’s most frequently associated with borderline personality disorder, and indeed, 75% of patients with borderline personality disorder self-harm. But the problem is not exclusive to those with borderline personality disorder. It’s also seen in people with depression, anxiety disorders, other forms of mental illness, or no diagnosable condition at all. Non-Suicidal Self Injury (NSSI) on its own has been proposed as a disorder for further study in the DSM-V.
Why would someone engage in self-harm? "For a person with borderline personality disorder, [cutting] might be a way to draw others in or create intensity. " Put simply, self-harm is a way to take unbearable emotional pain and turn it into more manageable physical pain. Physical pain helps to numb out the emotional pain. This is usually how self-harm behavior begins. Cutting can help some people, especially people with BPD or another mental illness, feel in control of themselves and their bodies. When self-harm occurs as a symptom of BPD, it is often comorbid with self-destructive and impulsive behavior such as binging and purging, substance abuse, and promiscuity. While the actual pain is as unpleasant as it would be for most people, those who self-harm report that it is quickly followed by a rush of endorphins similar to a high from recreational drug use. There is quite literally an internal reward – and just like with substance abuse, people who self-harm can develop a tolerance and sense of empowerment that leads to increasingly risky self-injurious behaviors. Some claim that cutting and other forms of self-harm are attention-seeking behaviors. Sometimes this is true. Adolescents and young adults who self-injure might get extra attention and care after hurting themselves. For a person with borderline personality disorder, this might be a way to draw others in or create intensity. But in the majority of these situations, it’s likely that the person is asking for help or trying to let others know that they are not okay, despite the facade they may put on. What are some signs that a person may be self-harming? Cutting is often a shameful event and so those who self-harm are usually quite secretive about it. It’s not unusual for the behavior to go undiscovered for years. If any of these warning signs seem familiar, it’s time to talk with your child about what kind of help they need. Check your own emotions. This is a difficult time for you, as well. Try to get to a calm place — not overly anxious or angry — before talking with your child. Don’t judge, scold, or otherwise stigmatize the person for their behavior. They are already doing this to themselves. Instead, building a sense of trust and an open dialogue will be much more helpful in finding a solution. Educate yourself about self-harm. Recognize that while it may not make any sense to you, this behavior serves a purpose in their life and can become very addictive for those who engage in it. Remove the preferred means of self-harm. You can’t make it impossible, but you can make it more difficult and less tempting by confiscating the most frequently used (or most dangerous) items. If necessary, seek medical attention for any recent wounds, possible infections, or internal injuries. Encourage the person to be as safe as possible and keep their wounds clean and dressed if they should self-harm again. Identify triggers for self-harm. Try to remove or mitigate them where possible, and help them cope with those that can’t be avoided. Ask your child to be honest with you about when they feel self-harm urges, so you can help them cope in the moment. It may help to have them rate the severity of the urges on a scale from 1 to 10. Brainstorm together about ways to cope or self-soothe when the urges are high (e.g. watch TV, call a friend, sketch or write, go for a run). If they can’t come up with any substitute activities, encourage them to try something new. Most importantly, get professional help to address the underlying causes of the behavior. Self-harm may simply be traded for other self-destructive behaviors if the deeper issues are not resolved. "A residential treatment program, such as our OPI Intensive program at Optimum Performance Institute, will do more than help your child learn new coping skills for self-harm urges." Cutting and self-harm behaviors can make their way into any home. The painful emotions family members experience when their child engages in self-mutilating behavior can nearly be too much to bear. But no matter how severe your child’s cutting has become, or how many times they’ve relapsed after a seemingly successful program, there is still hope. With the appropriate level of care, your child can heal from their underlying pain and stop self-harming. Some are able to heal through outpatient therapy and extra support at home from family members and friends. These young adults are most likely to be successful if they haven’t been cutting for long and they express a genuine desire to recover. If your child has been struggling with self-injurious behavior for over a year, or if the behaviors have escalated quickly and become more dangerous, a residential treatment program may be necessary to keep your child safe and prevent intentional or accidental suicide completion. A residential treatment program, such as our OPI Intensive program at Optimum Performance Institute, will do more than help your child learn new coping skills for self-harm urges. OPI intensive specializes in helping young adults with borderline personality disorder. Your child will be able to confront and overcome their other BPD symptoms, identify and heal co-occurring disorders, build and maintain healthy interpersonal relationships. A year ago Caleb had a secret, hidden under long-sleeved shirts and stoic shrugs. He was so depressed he questioned whether his life was worth living. Nobody knew how he felt, and he was afraid to tell anyone. He was an expert at pretending everything was okay. But it wasn’t. Once Caleb had stabilized in the hospital, the doctors at the psychiatric clinic recommended he continue treatment at Optimum Performance Institute (OPI). In May, with the support of his parents, Caleb flew out to Southern California for intensive treatment with us at Optimum Performance Institute. He was ready to do whatever he could to feel better. OPI was a safe place to explore what was holding him back. Through therapy, he learned how certain situations from his past had negatively affected him. He had been bullied in middle school and that had contributed to the depression. He learned dialectical behavior therapy (DBT) to help with self-harm urges and was able to apply them in real life situations. Caleb has a very different attitude about life than when he arrived at OPI. Today, the scars on his wrist mean something different. Today, the scars mark the transformation from shame to acceptance, from self-harming to kindness, from hiding to living in the world. They mark the lines of a new life filled with hope and possibility and joy. Today, he has the skills and the attitude that allow him to step into life and its many unknowns with confidence and joy. This story of success can be your own. You can live without fearing for your child’s life every day. And instead, you can trust that your young adult is on their journey to a healthy, independent life. If your child needs help for self-harming behaviors, give us a call at 866.661.3982 or fill out a contact form and we’ll get back to you. We help both young adult men and women ages 17-28 to overcome the urges to self-harm and replace them with healthy skills and a life worth living. Let your child be our next success story.